Today is a good day. 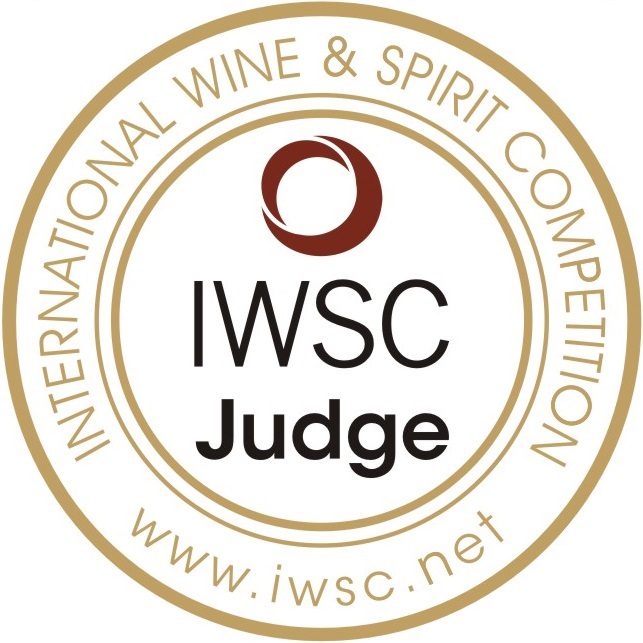 My Level 3 WSET class starts up again tonight – very much looking forward to continuing my education in my favourite subject – wine! I can talk about wine for hours and I am thankful for all of the people in my life who share this passion with me. A HUGE thank you to all of you reading my blog…I may not know you but I am writing to you. I hope that I can turn you onto a new wine or grape varietal that you haven’t uncovered yet. Thank you for reading. Thank you for passing along my blog site to your friends, and so on… You really have made the start of 2013 fantastic! 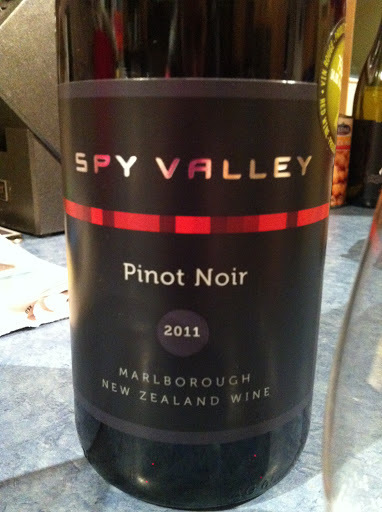 Continuing along my Pinot Noir tastings for the month of January, Spy Valley Pinot Noir 2011 from New Zealand was my choice this week. I was at Granville Island and went into the Liberty Wine Merchant shop across from the market. I like their selections of wine and most often, I can find something unique to try. New Zealand and specifically the Marlborough area of NZ is known for its’ Pinot Noir grapes. New Zealand is actually becoming the second ‘classic’ region for Pinot Noir behind Burgundy in France. The soils are quite similar as are the climates so the wines have a similar style to them and this is described best as an ‘elegant’ style. Spy Valley’s Pinot Noir was a bit pricier at $31.99 at the Liberty Wine store. It had a clear garnet colour and looked quite light in the glass as a Pinot Noir should. On the nose there were aromas of raspberry, plum, dirt, chocolate and a bit of coffee. On the palate, I tasted more herbaceous flavours of grass and violet as well as the raspberry and plum. I found it had a bitter almond taste to it as well as some black pepper and liquorice notes. It was a dry wine with medium high acidity. The tannins were low and it was light in body. Spy Valley’s Pinot Noir 2011 is a complex tasting wine. It had a medium plus finish and I would rate it as a very good quality wine. With that being said, I am off to search for my next selection of Pinot Noir! Enjoy and thanks again for reading! If you have a wine you would like me to review – just leave a comment for me.